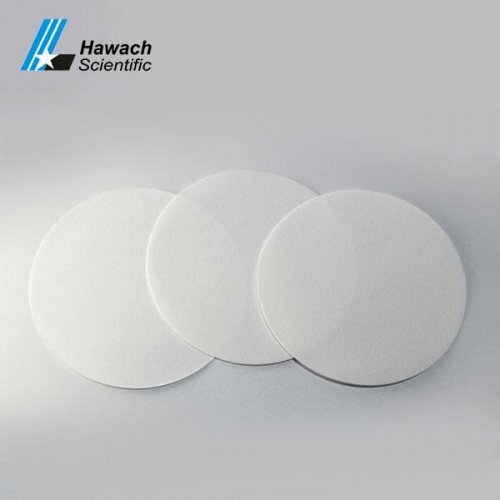 Hawach scientific Co., Ltd BIO-113 Wet strengthened qualitative filter paper has very high load capacity, suitable for filtration of large particle filtration or gel precipitation. The surface is wrinkled. 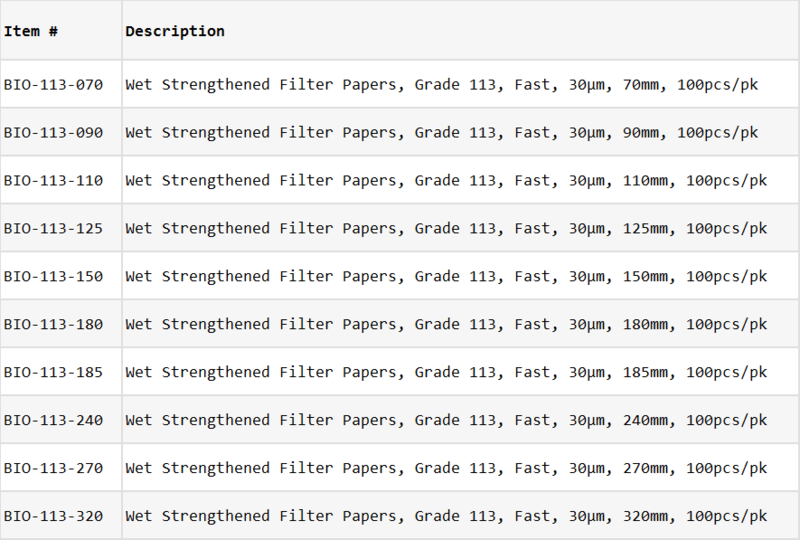 It is the thickest in the qualitative filter paper. It is often used to filter resin solution. 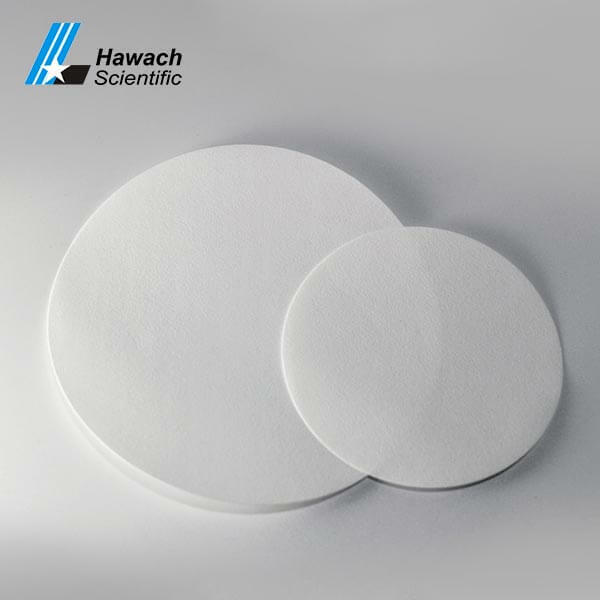 It is an ideal product for filtering coarse products or gelatinous precipitates. 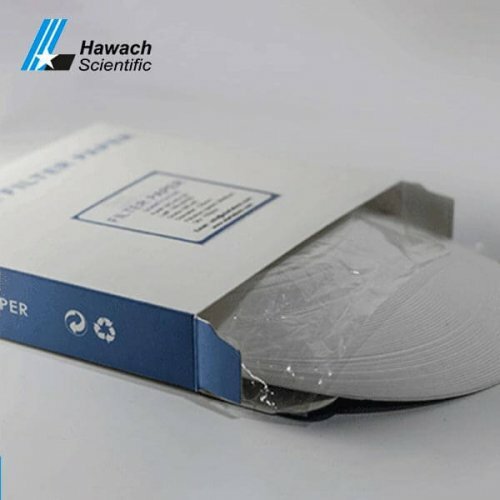 BIO-113 Separating Property is Fe(OH)3, the filtration speed is fast, high performance and quality acknowledged by more and more clients, welcome to inquire from us for more details. 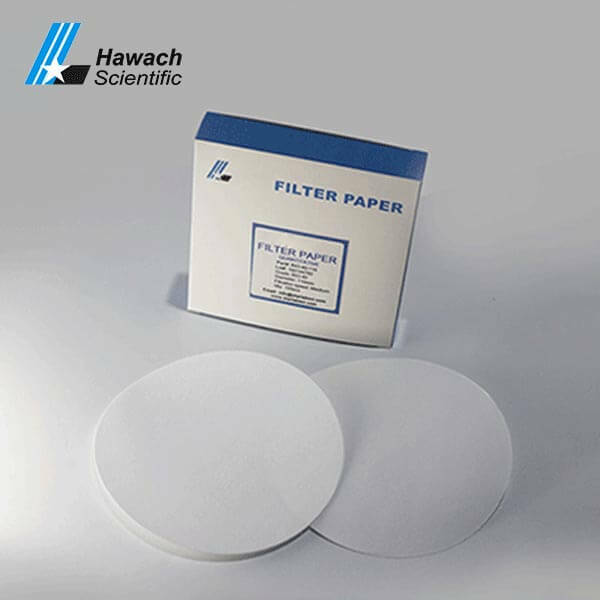 The wet strength quality filter paper is very tough and has high wet strength. 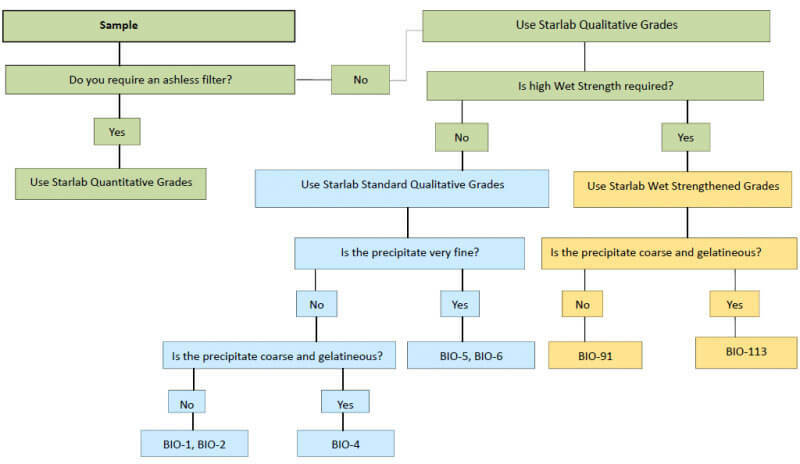 In ordinary qualitative applications, no obvious impurities are introduced. But the resin contains nitrogen, so it should be not recommended for the determination of Kjeldahl nitrogen. It has very high load capacity, suitable for large particle filtration or gel precipitation filtration. There are folds on the surface, which is the thickest in the qualitative filter paper and is often used to filter resin solutions.